With sea and mountain vistas and diverse local foods, this north- eastern corner of Italy makes an ideal spot for relaxed, uncrowded wine touring, says Carla Capalbo. 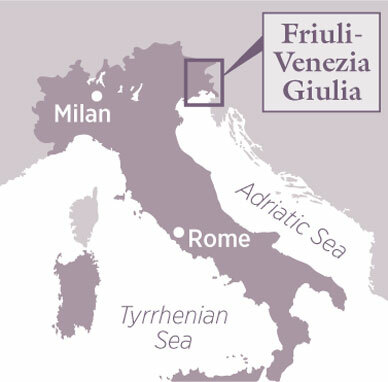 Read her Friuli travel guide here, first published in the Decanter April 2012 issue. Collio: Pinot Grigio (330ha); Sauvignon (251ha); Friulano (206ha); Chardonnay (122ha); Merlot (103ha); Ribolla Gialla (81ha). Isonzo: Pinot Grigio (210ha); Friulano (178ha); Sauvignon (154ha); Merlot (153ha); Chardonnay (121ha); Cabernet Franc (100ha). Carso: Malvasia Istriana (16ha); Cabernet Sauvignon (9ha); Vitovska (8ha). Walking down Gorzia’s tree-lined avenues, flanked by period villas and attractive gardens, you could be forgiven for thinking you’re in Vienna or Paris rather than a provincial city in north-east Italy. 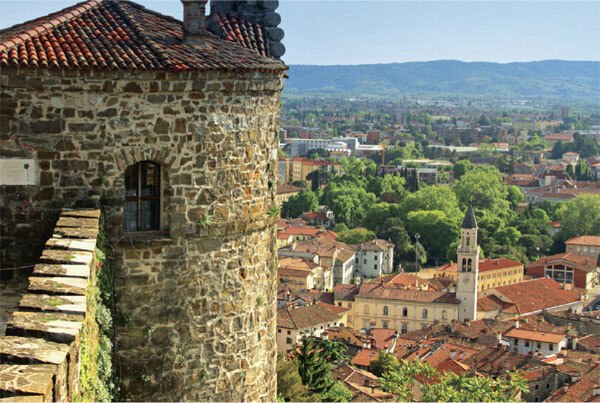 Considered the ‘Austrian Nice’ of the Habsburg empire, Gorizia’s mild climate and multicultural atmosphere have always made it an eclectic, lively trading centre. Ever a frontier town, Gorizia was divided in the 20th century between Yugoslavia, Italy and Slovenia. After Slovenia joined the EU in 2004, the border guards finally left a few years later. The area’s wines were well known to the Austrians, who had them shipped, along with cherries and other fruits, to Vienna in the 19th century. Several great winemaking areas fan out from the town. Gorizia sits nestled under the Julian Alps in the Collio hills, which have long been recognised for their fine wines on both sides of the border. The Isonzo river plain and plateau, a special terroir for wines, stretches from Gorizia towards the Adriatic Sea, while the Carso hills, extending south from Gorizia to Trieste, provide another distinct area for their uniquely rocky, limestone soils.